Bothwell Castle is the largest and finest 13th century stone castle in Scotland, much fought over during the Wars of Independence. 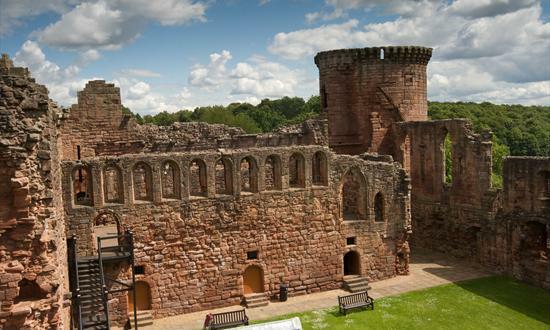 Located in a beautiful setting overlooking the River Clyde, part of the original circular keep of Bothwell Castle survives. Find out about medieval Scotland by exploring the 13th century prison tower and the 14th century great hall and chapel. The castle courtyard and display boards are fully accessible. Although uneven in places, all grounds surrounding the castle allow wheelchair access. The castle shop is also suitable for wheelchairs. Parking is 200 m away, but visitors with disabilities can be dropped off outside the castle.